Roundup® is the major herbicide used worldwide, in particular on genetically modified plants that have been designed to tolerate it. We have tested the toxicity and endocrine disruption potential of Roundup (Bioforce®) on human embryonic 293 and placental-derived JEG3 cells, but also on normal human placenta and equine testis. The cell lines have proven to be suitable to estimate hormonal activity and toxicity of pollutants. 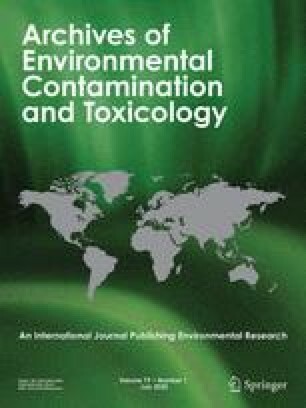 The median lethal dose (LD50) of Roundup with embryonic cells is 0.3% within 1 h in serum-free medium, and it decreases to reach 0.06% (containing among other compounds 1.27 mM glyphosate) after 72 h in the presence of serum. In these conditions, the embryonic cells appear to be 2–4 times more sensitive than the placental ones. In all instances, Roundup (generally used in agriculture at 1–2%, i.e., with 21–42 mM glyphosate) is more efficient than its active ingredient, glyphosate, suggesting a synergistic effect provoked by the adjuvants present in Roundup. We demonstrated that serum-free cultures, even on a short-term basis (1 h), reveal the xenobiotic impacts that are visible 1–2 days later in serum. We also document at lower non-overtly toxic doses, from 0.01% (with 210 μM glyphosate) in 24 h, that Roundup is an aromatase disruptor. The direct inhibition is temperature-dependent and is confirmed in different tissues and species (cell lines from placenta or embryonic kidney, equine testicular, or human fresh placental extracts). Furthermore, glyphosate acts directly as a partial inactivator on microsomal aromatase, independently of its acidity, and in a dose-dependent manner. The cytotoxic, and potentially endocrine-disrupting effects of Roundup are thus amplified with time. Taken together, these data suggest that Roundup exposure may affect human reproduction and fetal development in case of contamination. Chemical mixtures in formulations appear to be underestimated regarding their toxic or hormonal impact. This work was accomplished in the Biochemistry Laboratory EA2608 and the other authors’ affiliations represent their present postal address. For financial support and fellowships, we thank La Fondation Denis Guichard and The Human Earth Foundation, CRIIGEN (Committee for Independent Research and Information on Genetic Engineering), and le Conseil Regional de Basse-Normandie. The authors declare they have no competing financial interest.